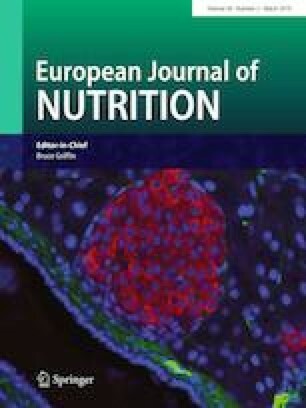 Dietary factors may influence colorectal cancer (CRC) survival through effects on inflammation. We examined the association between post-CRC diagnosis inflammatory potential of diet and all-cause and cancer-specific mortality in the Women’s Health Initiative. The study included 463 postmenopausal women who developed CRC during follow-up and completed a food frequency questionnaire (FFQ), on average 1.7 years after diagnosis. Women were followed from CRC diagnosis until death, censoring, or the end of follow-up in October 2014. Energy-adjusted dietary inflammatory index (E-DII)® scores were calculated from the FFQ and dietary supplement inventory. Cox proportional hazards models were fitted to estimate multivariable-adjusted HRs and 95% confidence intervals (CIs) for all-cause, total cancer, and CRC-specific mortality with the most pro-inflammatory E-DII scores (tertile 3) as referent. After a median 11.6 years of follow-up, 162 deaths occurred, including 77 from CRC. Lowest tertile (i.e., most anti-inflammatory) E-DII scores from diet plus supplements were associated with significantly lower all-cause mortality (HRT1vsT3 = 0.49; 95% CI 0.31–0.79) compared to the most pro-inflammatory E-DII tertile. Modest associations with total cancer mortality or CRC-specific mortality were observed, though 95% CIs included 1. Consuming a dietary pattern and supplements with more anti-inflammatory potential after CRC diagnosis may improve overall survival among postmenopausal women. The online version of this article ( https://doi.org/10.1007/s00394-019-01956-z) contains supplementary material, which is available to authorized users. We thank the Women’s Health Initiative Investigators: Program Office (National Heart, Lung, and Blood Institute, Bethesda, Maryland): Jacques Rossouw, Shari Ludlam, Joan McGowan, Leslie Ford, and Nancy Geller. Clinical Coordinating Center (Fred Hutchinson Cancer Research Center, Seattle, WA): Garnet Anderson, Ross Prentice, Andrea LaCroix, and Charles Kooperberg. Investigators and Academic Centers (Brigham and Women’s Hospital, Harvard Medical School, Boston, MA): JoAnn E. Manson (MedStar Health Research Institute/Howard University, Washington, DC); Barbara V. Howard (Stanford Prevention Research Center, Stanford, CA); Marcia L. Stefanick (The Ohio State University, Columbus, OH); Rebecca Jackson (University of Arizona, Tucson/Phoenix, AZ); Cynthia A. Thomson (University at Buffalo, Buffalo, NY); Jean Wactawski-Wende (University of Florida, Gainesville/Jacksonville, FL); Marian Limacher (University of Iowa, Iowa City/Davenport, IA); Jennifer Robinson (University of Pittsburgh, Pittsburgh, PA); Lewis Kuller (Wake Forest University School of Medicine, Winston-Salem, NC); Sally Shumaker (University of Nevada, Reno, NV); Robert Brunner (University of Minnesota, Minneapolis, MN); Karen L. Margolis. Women’s Health Initiative Memory Study (Wake Forest University School of Medicine, Winston-Salem, NC): Mark Espeland. Additional Information: a full list of all the investigators who have contributed to Women’s Health Initiative science appears at https://www.whi.org/researchers/Documents%20%20Write%20a%20Paper/WHI%20Investigator%20Long%20List.pdf. We also thank the Women’s Health Initiative staff and the trial participants for their outstanding dedication and commitment. Development of methodology: JRH, NS and SES. Acquisition of data (provided animals, acquired and managed patients, provided facilities, etc. ): BC and JO. Analysis and interpretation of data (e.g., statistical analysis, biostatistics, computational analysis): JZ, JZ, CHK and SES. Writing, review, and/or revision of the manuscript: JZ, FKT, JZ, EAM, NS, JKO, BC, CHK, JRH and SES. Administrative, technical, or material support (i.e., reporting or organizing data, constructing databases): JZ, FKT and SES. Study supervision: SES. J Zheng, FK Tabung, J Zhang, JK Ockene, JR Hébert, and SE Steck were supported by Grant #318258 from the American Institute for Cancer Research. J Zheng was supported by Cancer Prevention & Research Institute of Texas Grant PR170259. FK Tabung was supported by National Cancer Institute grant # K99CA207736. N Shivappa and JR Hébert were supported by Grant number R44 DK103377 from the National Institute of Diabetes and Digestive and Kidney Diseases. The WHI program is funded by the National Heart, Lung, and Blood Institute, National Institutes of Health, U.S. Department of Health and Human Services through Contracts HHSN268201600018C, HHSN268201600001C, HHSN268201600002C, HHSN268201600003C, and HHSN268201600004C. Dr. Hébert owns controlling interest in Connecting Health Innovations, LLC (CHI), a company planning to license the right to his invention of the dietary inflammatory index (DII®) from the University of South Carolina to develop computer and smart phone applications for patient counseling and dietary intervention in clinical settings. Dr. Nitin Shivappa is an employee of CHI. The WHI protocol was approved by the Institutional Review Boards at the Clinical Coordinating Center (CCC) at the Fred Hutchinson Cancer Research Center (Seattle, WA) and at each of the participating Clinical Centers, and has, therefore, been performed in accordance with the ethical standards laid down in the 1964 Declaration of Helsinki and its later amendments. All participants provided written informed consent in accordance with the US Common Rule. This study was also approved as exempt category from the Institutional Review Boards at the University of South Carolina where the study was conducted.